Hilco Transport is a very diverse Transportation Company in Central N.C. Hilco delivers gasoline, diesel fuel, and kerosene throughout North Carolina and into Virginia and South Carolina. We also deliver jet fuel and av gas throughout North Carolina, South Carolina, Virginia, West Virginia, and Georgia. Hilco runs about 50 units on light oils. Hilco also runs approximately 130 units in propane and butane up and down the East Coast; from Maine to Florida. Hilco also runs approximately 125 asphalt tankers on the East Coast. Hilco started out with dump still operates over 100 dump trucks and trailers for variable products. Hilco has diversified into the Waste Business several years ago, and it is an expanding business. Hilco is headquartered in Greensboro, NC and has terminals in Kannapolis with all divisions running there. Hilco is also in Selma, NC with gasoline and diesel, with propane and butane availability. Hilco has opened a terminal in Clinton, NC that takes care of about 75 waste units running from Eastern, NC into Roseboro, NC. 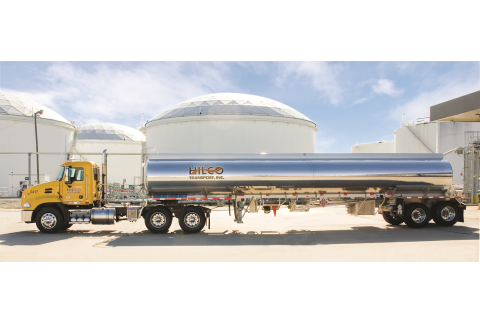 Hilco also has a terminal in Wilmington, NC where it runs propane, asphalt, liquid fertilizer, bulk fertilizer, and petroleum products. Hilco has a terminal in Cattletsburg, KY also with propane and asphalt. Hilco has a terminal in Duncan, BC where we have propane, asphalt and hoping to see petroleum soon. Please contact Hilco Transport if you need any of these services.